Believe it or not, Holiday 2016 is upon us and with any luck (and a lot of hard work) you'll be busy sending products to consumers over the next few months. 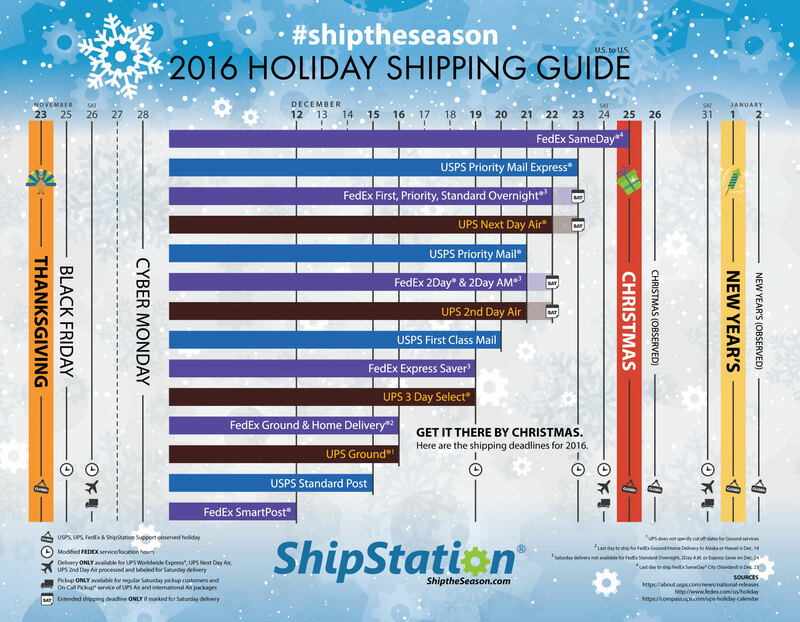 Check out the infographic below from ShipStation, which shows the holiday "ship by" dates for UPS, FedEx and USPS. Enjoy infographics? Find more within Website Magazine Infographics channels now!